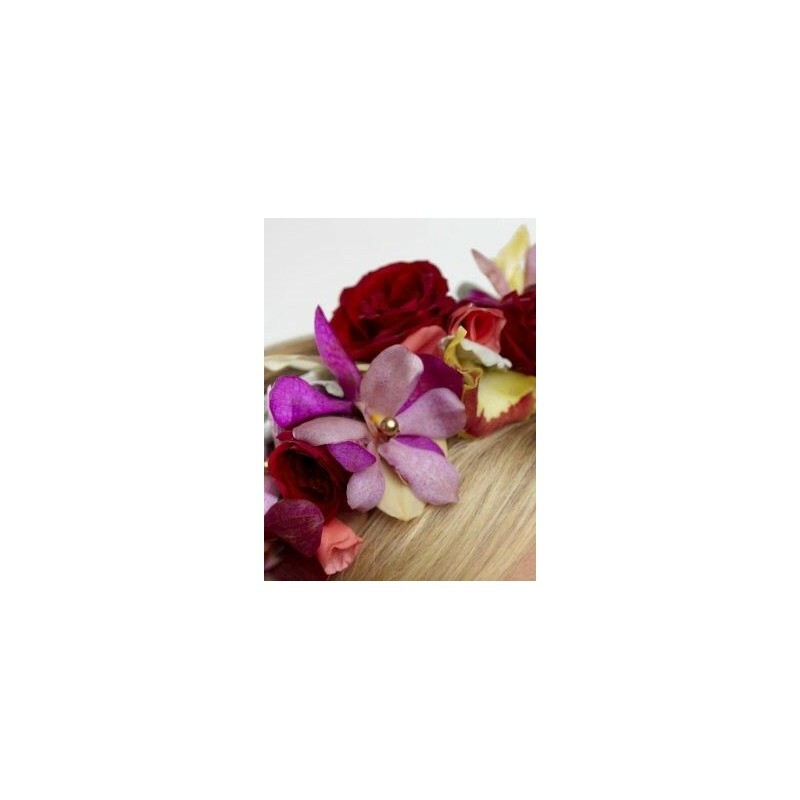 From ruby red to rich purple, warm coral and pale gold, this fresh flower headband is a distinctive design that really completes that special outfit. The vibrant shades and touch of gold sparkle combine perfectly for a dramatic and very beautiful effect. 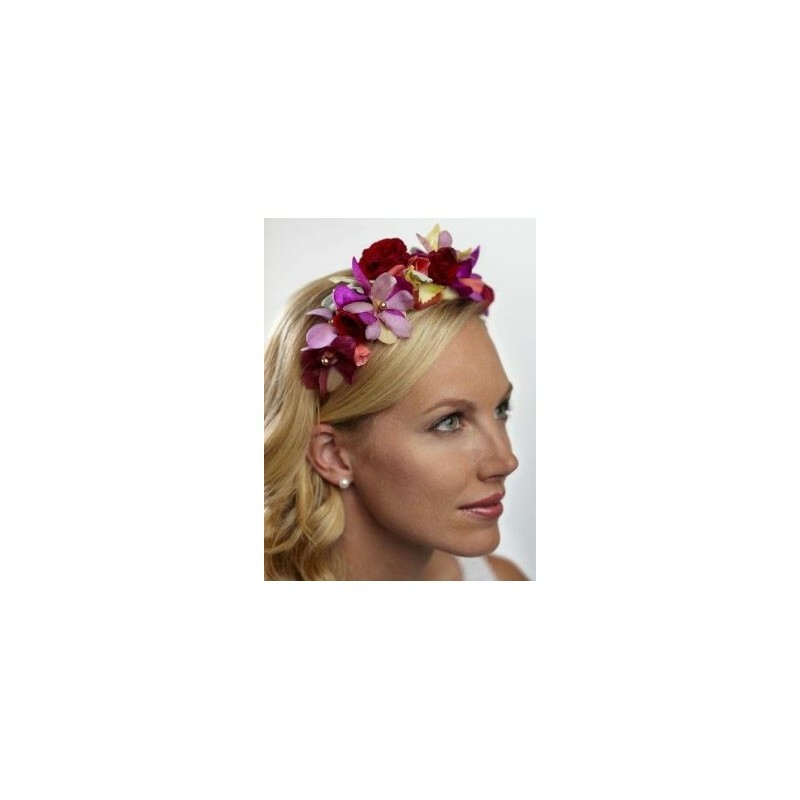 Featuring 2 gold Cymbidium orchid heads, red spray rose, 2 purple Mokara orchids, 2 red Dendrobium orchids, 2 cerise Vanda orchids with coral Rose petals and Stachys, set onto a headband and trimmed with gold pins. 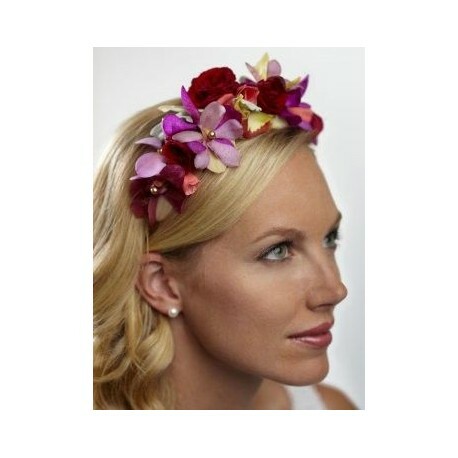 Created exclusively for your special occasion.